SYSTRAN Blog | Join SYSTRAN at the 1st Hackaton on NLP @Google Paris Office on Euro 2016 thematic ! 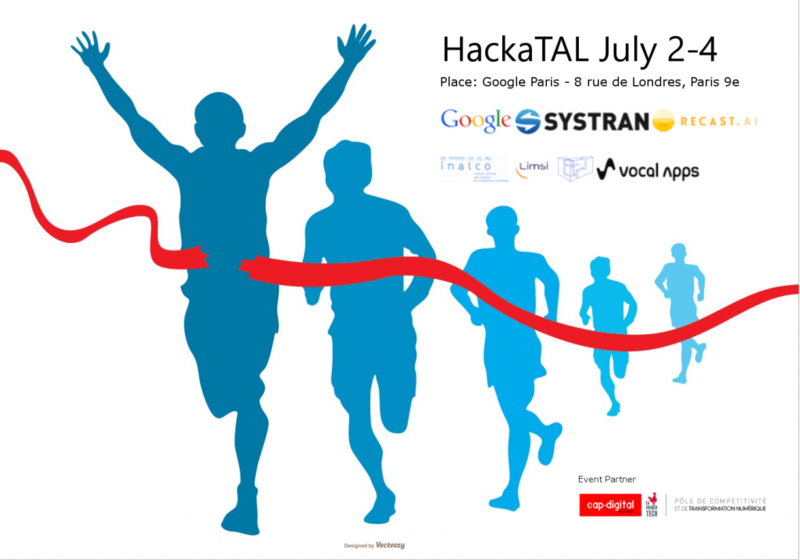 Join SYSTRAN at the 1st Hackaton on NLP @Google Paris Office on Euro 2016 thematic ! During the joint conference JEP-TALN-RECITAL 2016, will take place at Google Paris office, from July 2nd to July 4th, the first edition of a hackathon dedicated to NLP (Natural Language Processing), co-organised by research centre in “Text, Computing and Multilingualism”. The aim is to bring the community around data and software tools to exchange, model, prototyper, coding, implement, develop, test, assess… and much more! The tasks proposed concern the event detection and implementation of dialogue management system. The thematic selected is Euro 2016, which will bring a practical application case, data (tweets and structured data) and could also make possible real time experiences. SYSTRAN, the leading provider of language translation technlogies, organizes the event detection session and will award a special price for the winner. Detailed program and registration here (in French).